Sometimes, at home, i always watching my cats play very happy with some...em ... many stuff, like dog? a ball of wool ? em, or a slipper .... I always be very curious what fun is it? 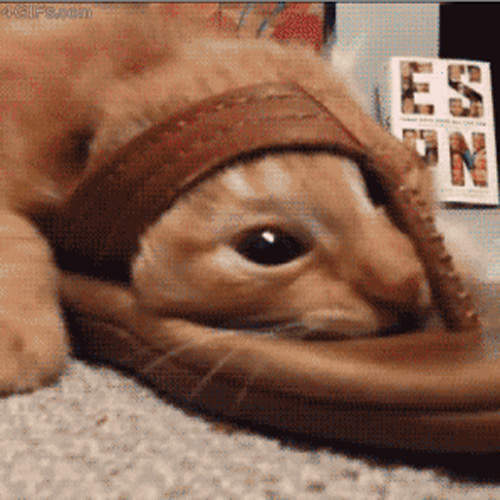 Cats VS Slipper Funny Story - Who is the winner ?No answer. Target ! Find !! Go ... aaaa. ..now i'm stuck. now i'm stuck. Why i can not get in !? hell , why ? aaaa. ..now i'm stuck. again ! now i'm stuck.again ! This is my new car , cool ha ? my new toy ... nice ! even the little kitten join the battle, such a struggle fighting !